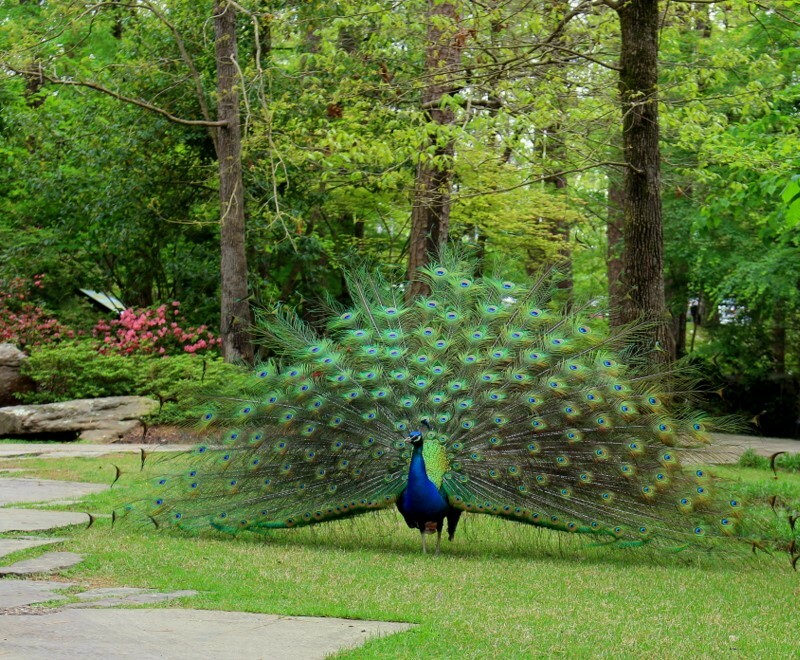 One of the benefits of working at Rotary Botanical Gardens is meeting visitors from around the world. I’ve welcomed travelers from Spain, Canada, China, Japan, Scotland, England, Germany, and all across the U.S. Some of them had discovered the Gardens on Trip Advisor or another online resource and included us in their travel plans. Others just happened to find us in local tourist literature. The people I talked with had good words to say about our 20-acre Wisconsin garden, and many had questions about what they’d seen. 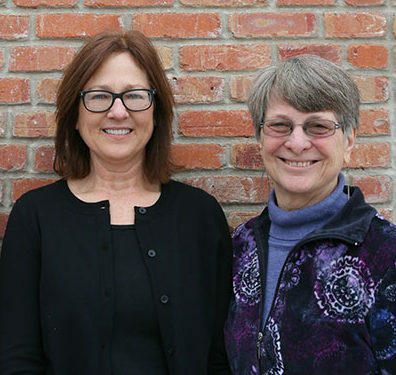 Names of specific plants, birds, bugs, and fish; numbers of staff and volunteers; what’s in the soil; do we use pesticides; who designed a particular sculpture – their curiosity and enthusiasm seem boundless. They were all happy to be here. There’s something comfortable about wandering through a garden when traveling. It brings a little respite from the hustle of meeting itinereries and the crush of mass transit. 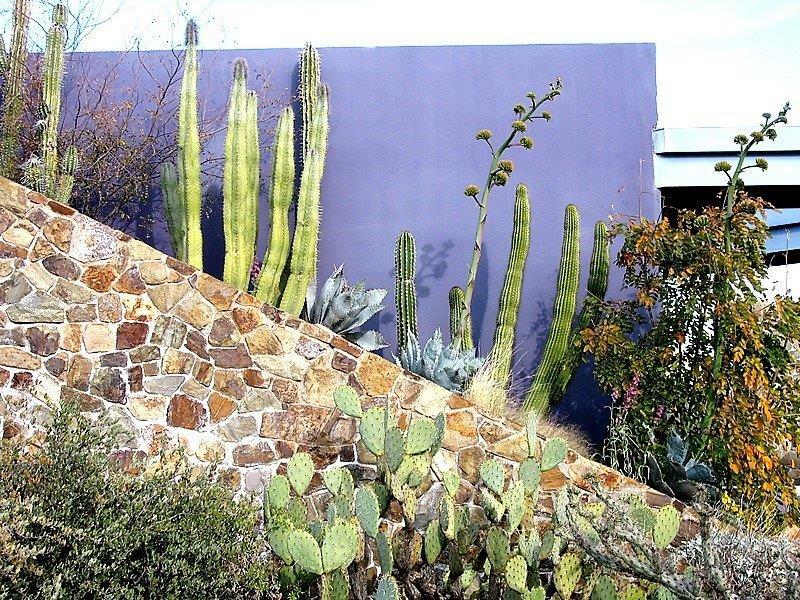 I’ve always gravitated toward gardens when on the road, and I usually learn something when I do. Here are a few of my own garden travel favorites. 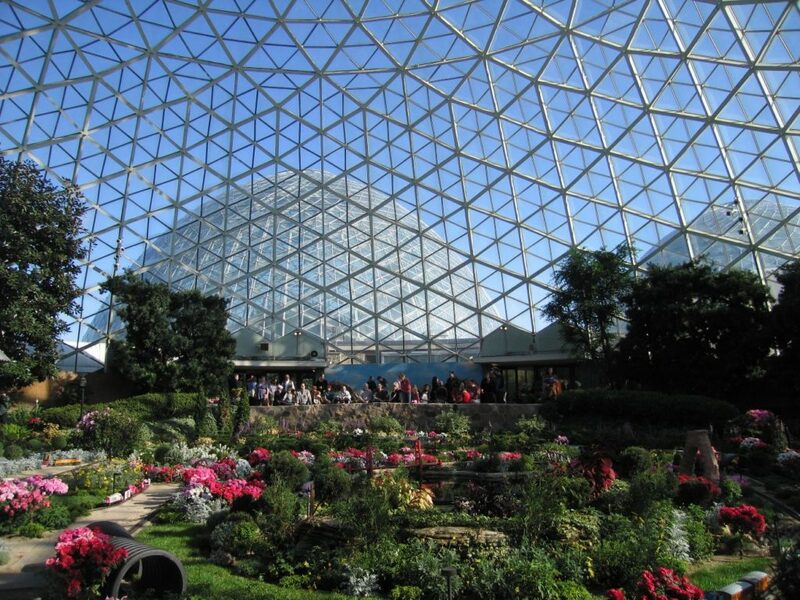 If you need a shot of sunshine during our Wisconsin winter, a visit to the Boltz Conservatory at Olbrich Gardens in Madison or Mitchell Park Conservatory (“the domes”) in Milwaukee is just the ticket. Both feature glass dome garden spaces and can provide a needed respite from those long, grey days before the vernal equinox. 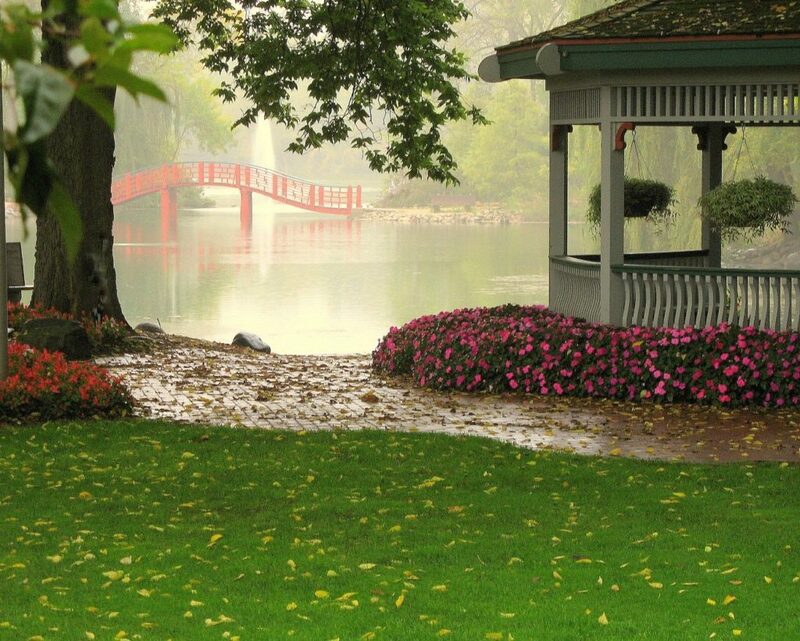 And, if you find yourself near Madison during the warmer months, seek out the Thai Pavilion and associated Thai garden at Olbrich. This lovely building is one of only four such structures outside of Thailand (others are located in Germany, Norway, and Hawaii). 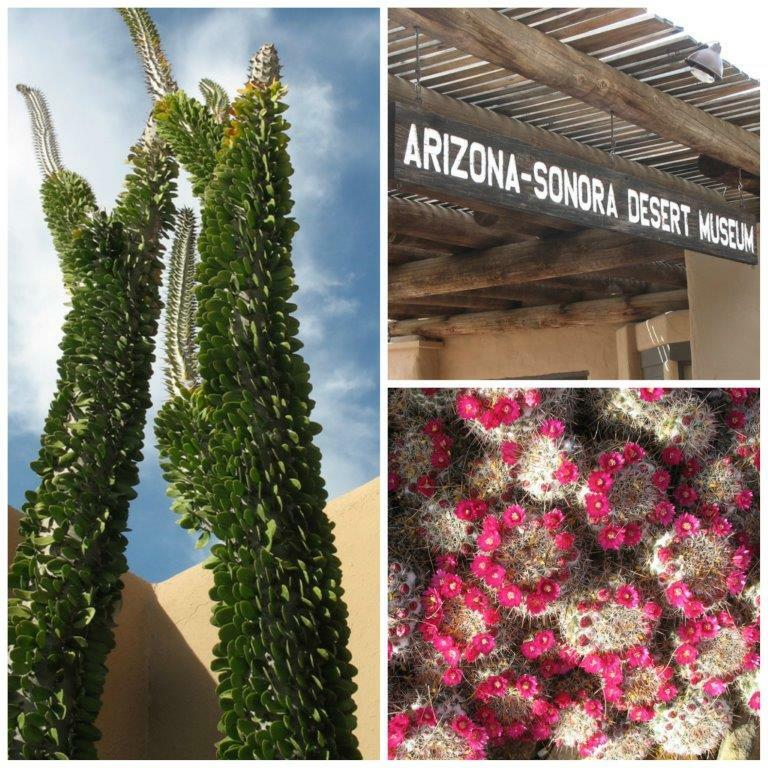 If you are traveling in the American Southwest, a winter visit to the Arizona Sonora Desert Museum in Tucson or the Desert Botanical Garden in Phoenix will open your eyes to the beauty of desert plants. The 98-acre Desert Museum is a fusion experience: zoo, botanical garden, art gallery, natural history museum, and aquarium. I happened to discover it on a short trip to Tucson, and plan to return. 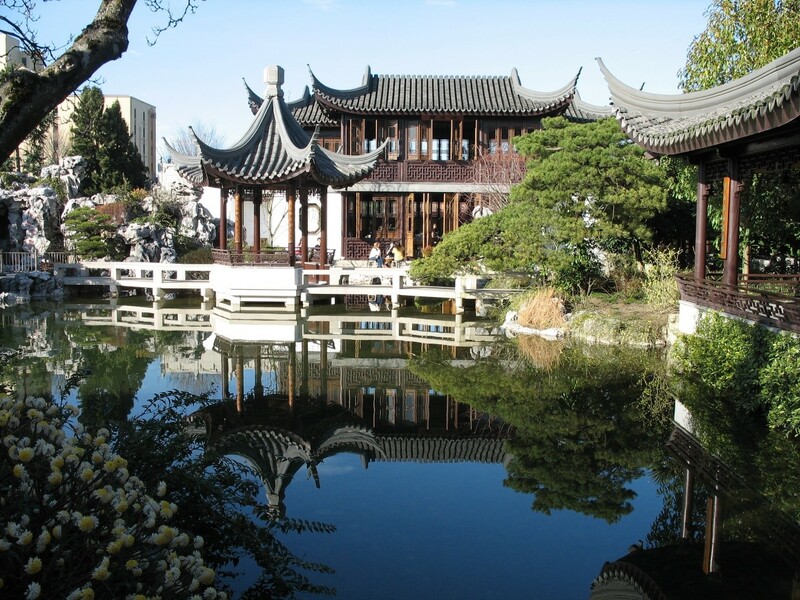 I’ve enjoyed several Japanese-style gardens throughout the U.S., but was enchanted by the Chinese garden tucked away behind ornate white walls in downtown Portland, Oregon. A jewel of a garden along the southern “Adventure Coast” of Oregon, Shore Acres State Park is perched on rugged sandstone cliffs high above the Pacific. 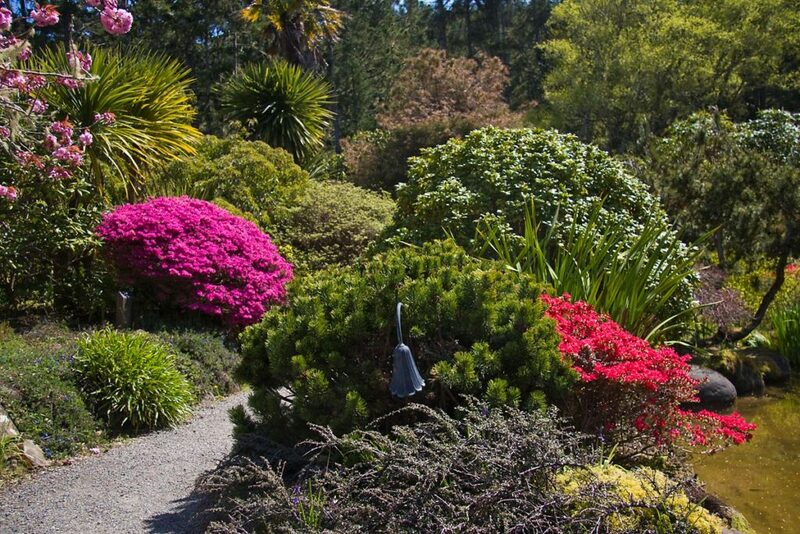 Once the estate of pioneer timber baron Louis Simpson, these gardens bloom year-round with plants from all over the world. I happened to read about Garvin Gardens’ Christmas light show in a tourism brochure while vacationing in Hot Springs one December. 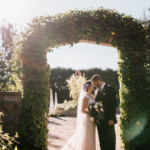 After making many wrong turns down dark and winding country roads, my husband and I finally arrived at the spectacular display. 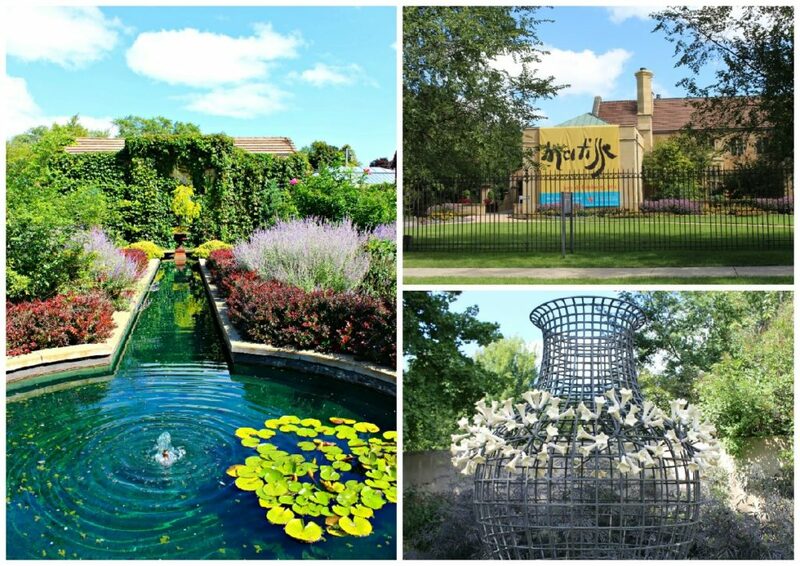 We love these gardens and have returned several times, experiencing them during all four seasons. Don’t forget smaller, local gardens when you’re in need of landscape inspiration. When I visited the Paine Art Center, just two hours away from my home, it was to see an exhibition of Matisse etchings and other prints. What I found beyond the excellent gallery display was a joyous garden including unique sculpture, water features, and exotic plants. 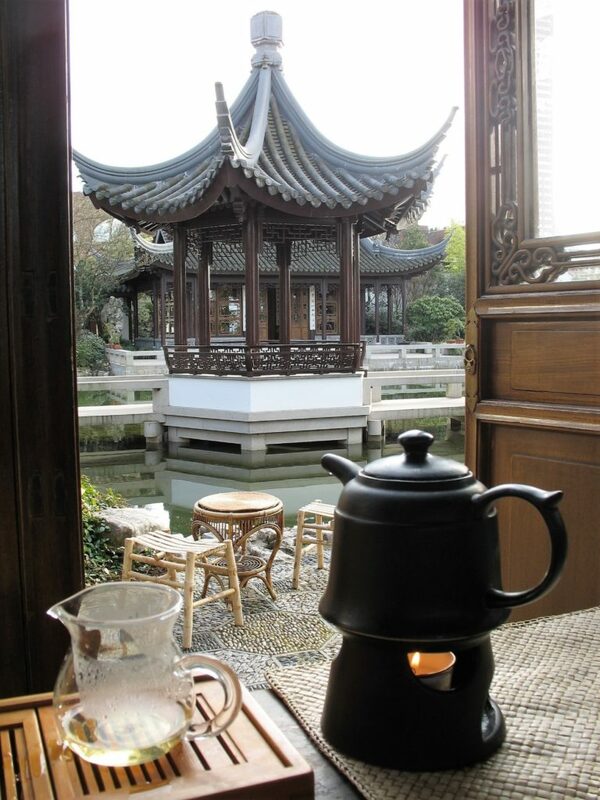 Whether near-to-home, or on the other side of the globe, garden travel can be relaxing, memorable, and educational. A traveler can be all alone, yet feel surrounded by kindred spirits while strolling among growing plants and intriguing landscape design. 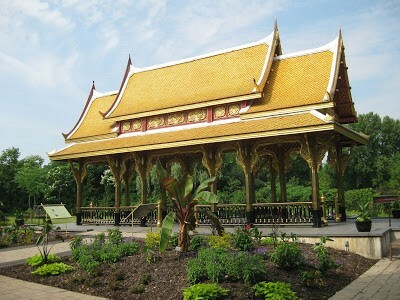 Photograph of the Thai Pavilion at Olbrich Botanical Garden by Mark Dwyer. All other photographs by Patrea Wilson. In need of excellent compost or early spring pansies? We have you covered! Rotary Botanical Gardens Horticulture Center on Sharon Road, Janesville, WI. Saturdays throughout April and May, 2017. 45-pound bags of mushroom compost for $6.00 apiece. 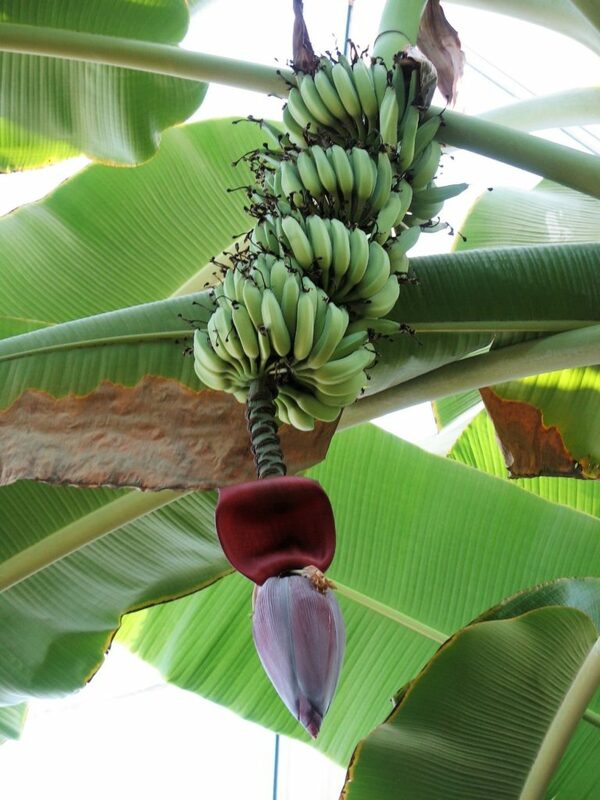 Friends of Rotary Botanical Gardens receive 10% discount.